About Garden Towers. Garden Towers was built in 1981. It is considered by many to be an extremely well constructed building. The parking stalls are indoor and spacious. It is a self managed condominium of 38 units of various sizes. Many of the condominiums have two dedicated parking stalls, but not all do. The Common Areas Include Roof Top Garden with Views of the Entire Valley, There are BBQ’s on each corner of the rooftop. The rooftop can be reserved for private homeowner functions. It has a recently updated social room, a Fitness Center, and dedicated storage. HOA fees include monthly water /sewer/ garbage, partial cable, exterior maintenance, common area maintenance and building insurance. No Pets, No Smoking and unit cannot be used as a Rental. Some of the units have terrific views, some north, some southerly. Most units have a covered deck. The building is wired for Google fiber. One sold unit advertises that It is 400 yards from the most expensive real estate in the state. Spacious and Light with floor to ceiling windows and doors. Expansive living and dining room with open kitchen. 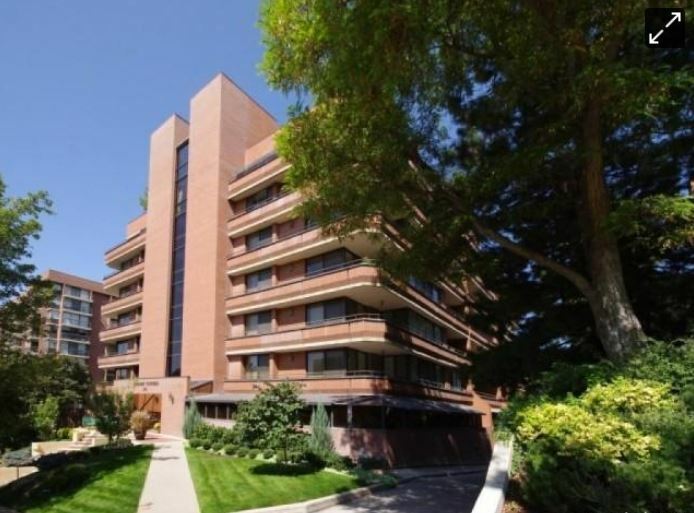 Recently Remodeled Clubhouse, Exercise room, Roof Top Garden,Secure Building with 2 elevators, 2 stairways, 16″ on center concrete and Steel post tension cable construction throughout & between all units. My comment on their rental policy: It is the strictest I have seen in Salt Lake City. One of my clients backed out of being under contract when an HOA board member told him he couldn’t have a paying roommate. I do understand why condo projects are strict on rentals. Renters do no take the same care of a building as an owner will.